If you’re a fan of old Woody Allen movies, you’ve most likely heard one of his more famous lines…. 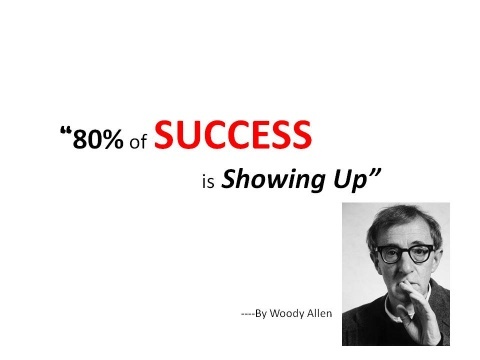 that “80% of success in life is showing up!” As simple as that sounds, just think where we would all be if we didn’t bother to… show up?! The reality is that nothing actually happens until we commit to physically and mentally taking action. The first and most important thing we do in accomplishing anything in life is to just show up. The second most important thing is to actually do something. When we take action, we set ourselves in motion and everything changes… we make stuff happen, and in the best of circumstances, we can even create the magic of momentum. There is enormous value in a mindset that prioritizes showing up as an important “Secret of Life”. Because in life, it’s impossible to always predict what will happen, who we might meet along the way….or how an experience might affect our future. My own most life-changing example…..showing up on Memorial Day weekend 1973 in Birmingham, Alabama to visit my best college buddy... If I hadn’t traveled that weekend I would never have met my sweetheart Susan, my soul mate and life partner. I can’t imagine how different my life would have been if I had decided to stay home and spend the weekend on the couch. Surely there are many stories like this out there. It sounds so simple…so painfully obvious, but how often do we opt out of showing up because of fear of the unknown or just pure laziness. When we put ourselves in new and/or sometimes scary places, we learn… we expand… we grow out of our comfort zones, and good stuff happens. When we show up, we set ourselves up to meet interesting people, add exciting experiences to our knowledge base, gain insight, and build a diversified view of our world. For me, I value showing up as an adventure. Susan and I are blessed to travel the globe….see beautiful places and best of all, meet extraordinary people who are often doing amazing things. Showing up in strange places, being open to spontaneity, or finding ourselves in unpredictable environments can actually be exhilarating. Those unexpected, intense experiences are often our most “Perfect Moments” in life. Life can be challenging, and not always as simple as just showing up. One of the “Secrets of Life” is how we show up. For me, I maintain a personal discipline of being over-prepared and doing my utmost to stay true to doing what I say I’m going to do. 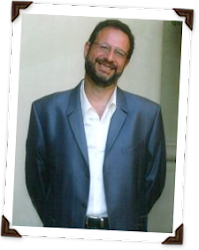 As much as I am addicted to spontaneity, I’m not comfortable with “winging it”…..for me it’s about anticipation and preparedness. Mastering the art of showing up requires thoughtfulness; it’s about remembering the little things, being there when needed, celebrating life’s changes and mindfully participating in the ordinary as well as the extraordinary. It is a “Secret of Life” that requires us to have integrity of commitment, which normally means that we need to show up often and repeatedly. In order to be that good friend, loose that extra weight, master that difficult challenge, or honor our promises we have to just show up and do the work! Where would we be if we didn’t show up? This short answer reviews of essay writing services is that the solely specific inquiry regarding your career during this set of essays. it's notable that the essay question focuses on passions, not goals. For an issue like that it is vital to distill your career aspirations and feelings regarding your work into a transparent statement. accept why you head to work everyday and therefore the moments that inspire you at your job and in your career. Ideally your career passions hint at what drives you on a deeper level and match along with your personal and extracurricular pursuits moreover.